At least 1,000 protesters have gathered in the eastern Ukrainian city of Donetsk, the industrial capital of the region, demanding that authorities respect their right for self-determination by allowing them to stage a Crimea-style referendum. The protesters called for a general all-Ukrainian strike and distributed leaflets declaring April 18 a referendum day. "Today a referendum remains a sharp political and social issue in Donbass region. People do not leave squares and require to hold [a referendum]. The fight for a referendum is accompanied by protests against rising prices for gas, electricity and food. The socio-patriotic movement 'Eastern Front' offers trade unions to hold a general strike on April 18. The goal of the strike is to require that the authorities hold a referendum and introduce a moratorium on the increase of tariffs and utilities," said the leaflet, according to local media reports. Residents then marched from the square to the city council building. Law enforcement officers in riot gear gathered near the building. The protesters demanded that local authorities meet them at the location. According to reports, a group of city council deputies came out of the building. Earlier, the press service of the city council reported that authorities had not received any requests or notifications from social organizations or political parties about the Saturday rally. Deputies of the city council, Igor Ponomarenko and Igor Sviridov, promised to meet residents at Lenin Square on Sunday, according to local media. 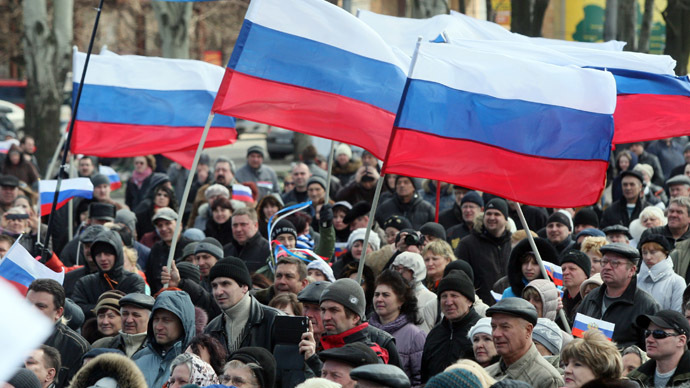 On March 1, Donetsk City Council made a decision to support the residents in their calls for a referendum. 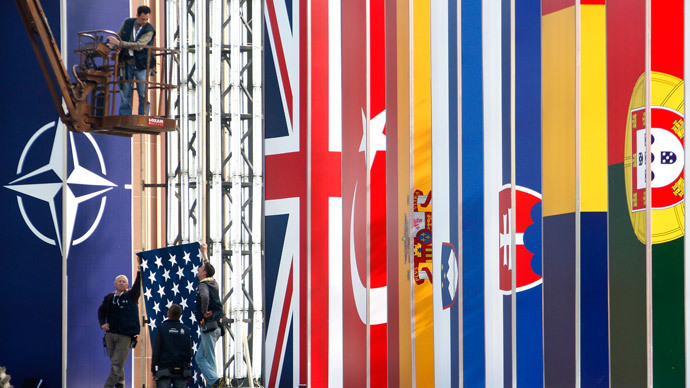 The deputies of the city council said that the decision on whether to hold a referendum is currently being considered by the court prosecutor, and the next hearing will take place on April 22. On Friday, a group of people gathered at the German consulate in Donetsk to protest against what they say is German interference in Ukraine’s domestic affairs. They have signed a petition asking Berlin to stop meddling. “We ask you to convey to the leadership of your country our request of non-interference in Ukrainian internal affairs by Germany,” the petition reads. “We ask you, based on Germany’s international authority, to warn other countries from this, not to enkindle war and not to support fascism in Ukraine,” said the people’s statement, as quoted by local media. 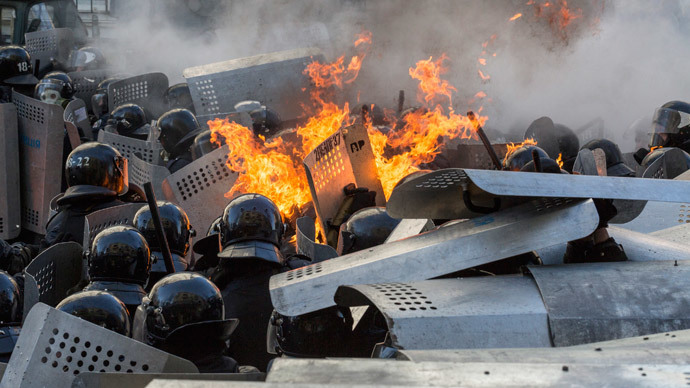 After President Viktor Yanukovich was ousted by an armed coup in February, the Donbass region has been gripped by protests against Kiev’s coup-imposed government. Thousands of demonstrators have been demanding to hold a referendum to decide on the future of the region – just like in Crimea, which refused to recognize the country's new authorities. 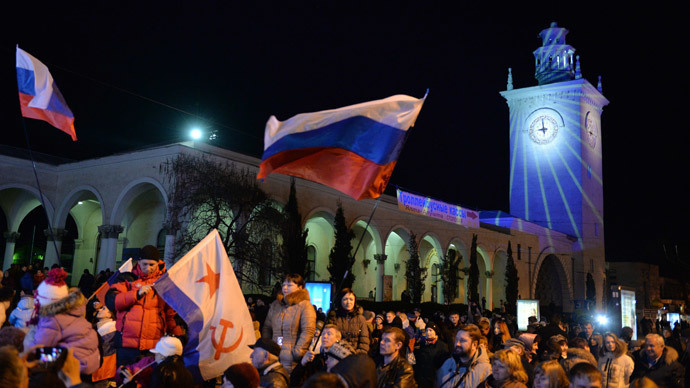 The Republic of Crimea declared its independence from Ukraine following the March 16 referendum, in which 96.77 percent of the voters chose to rejoin Russia. 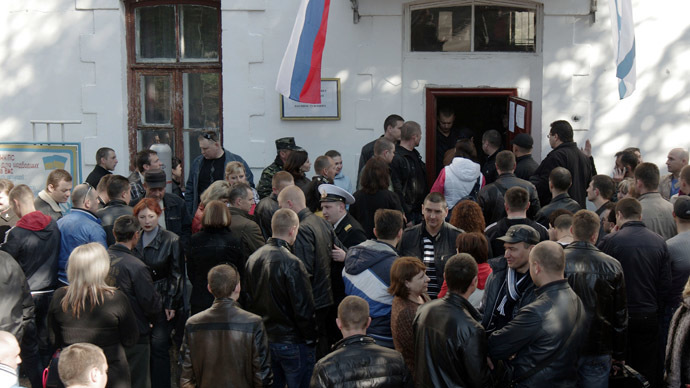 Despite calls to boycott the vote and provocation attempts, 83.1 percent of Crimeans took part in the poll.